Okay, you know how I said in my last post how Danielle and I wanted to chase the Northern Lights around Narvik but then I found the husky Airbnb so we went to Kiruna instead? Well, there’s actually more to the story than that. 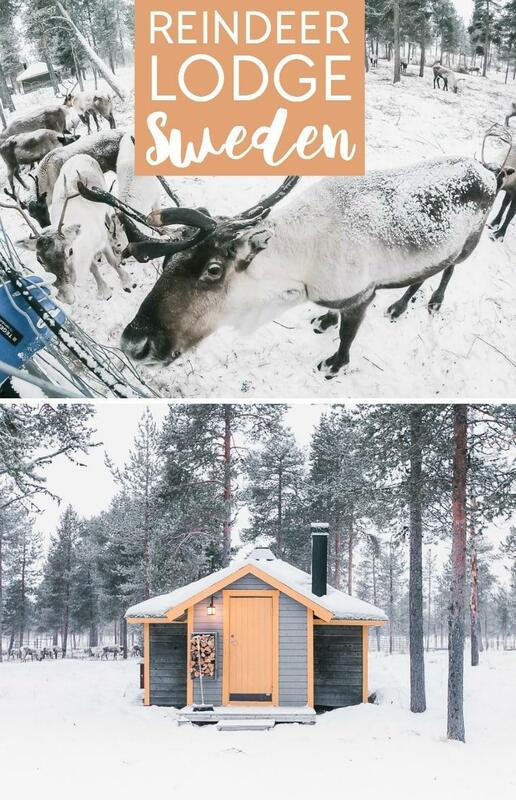 About ten minutes after I found the husky camper van on Airbnb and wrote asking for more information, I stumbled across Reindeer Lodge on Airbnb. 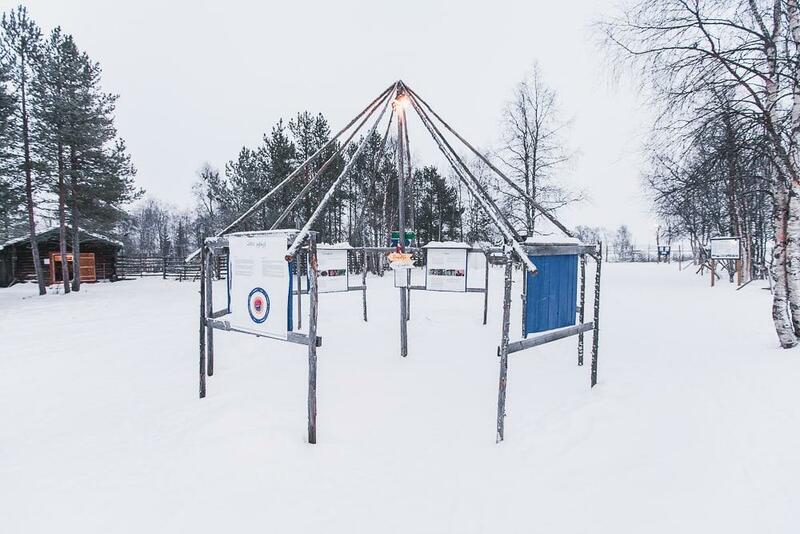 Reindeer Lodge is part of Nutti Sámi Siida, run by Nils Torbjörn Nutti, a local reindeer herder. 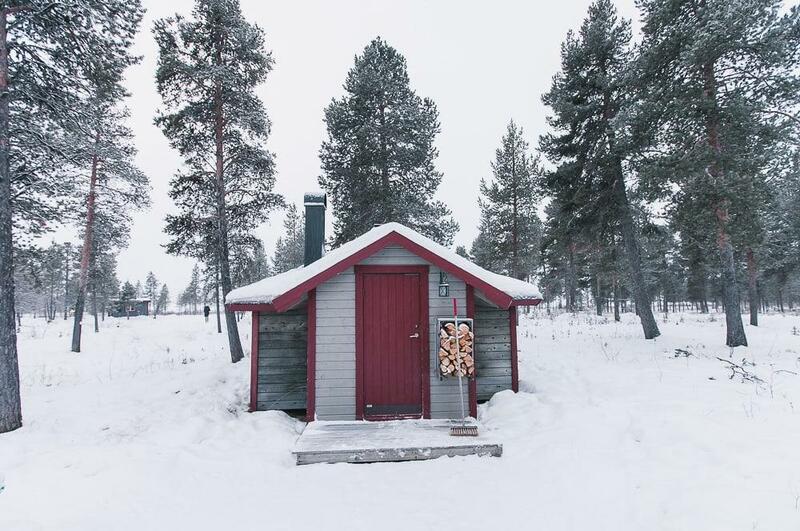 The lodge is in Jukkasjärvi, about 20 minutes from Kiruna, and consists of a group of Sámi cabins in the woods along the River Torne. 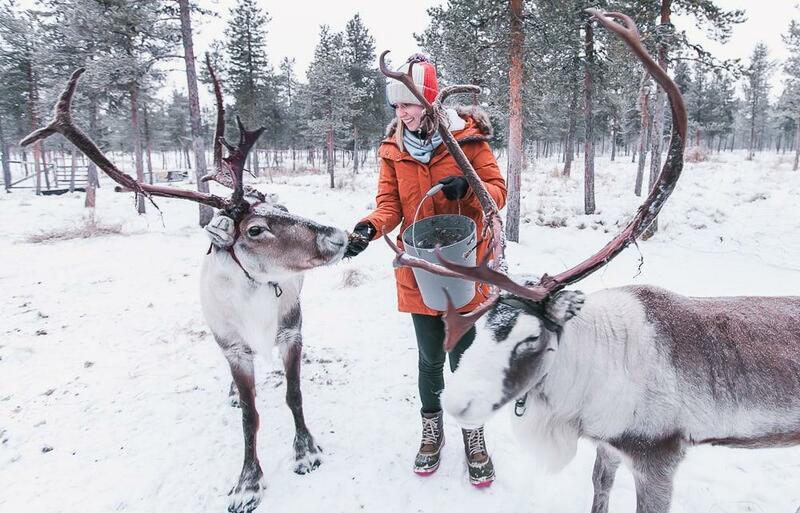 Lodging includes breakfast and dinner, but the best part of all is that they have a herd of reindeer here. 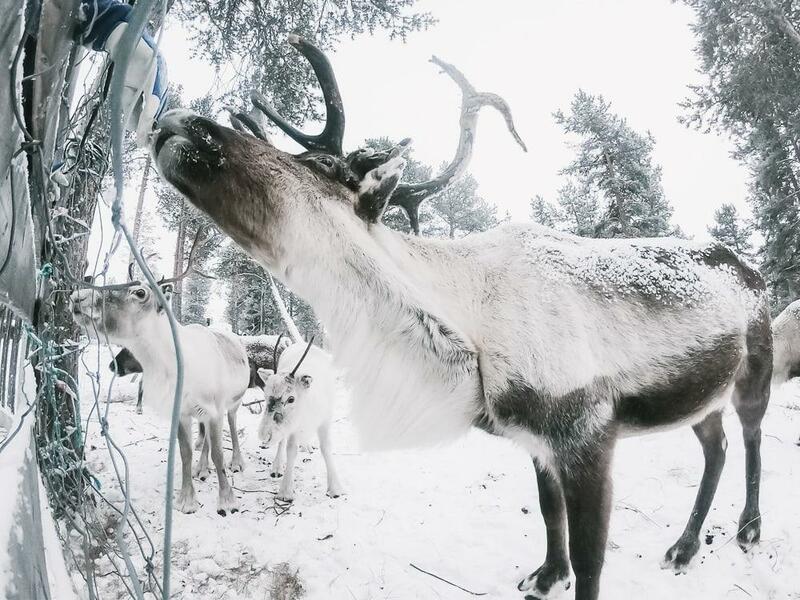 So you can spend your evenings under the Northern Lights with reindeer roaming around you! So of course finding Reindeer Lodge launched me into quite the crisis: do we choose reindeer or huskies?? Danielle and I are both like, the ultimate dog people, so huskies seemed like the obvious choice, but Danielle had never seen reindeer before and I do really love reindeer. I think they’re some of the funniest animals. 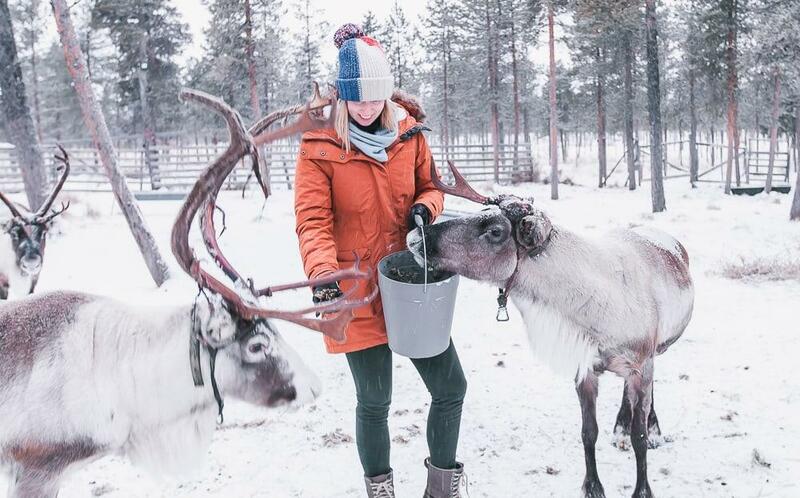 And what could be more special than spending a couple days in Lapland learning about Sámi culture alongside reindeer? Spending a couple days with huskies? In the end the husky caravan got back to me so I took it as a sign to go with the huskies, but I was still super curious about Reindeer Lodge, so I asked if I could stop by to check it out, in case any of you guys would be interested in staying there. Danielle and I stopped by the cosy reception cabin for some tea, and one of the staff showed us a brochure of all the activities offered for the guests. 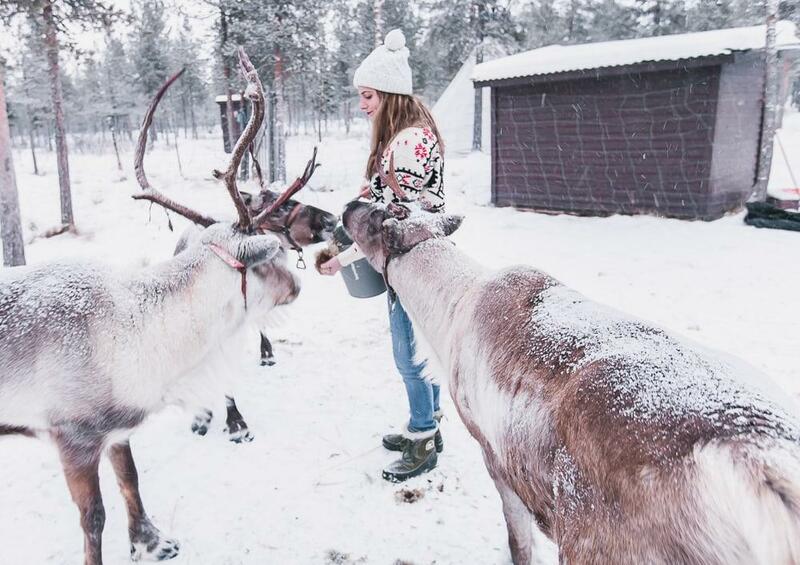 Everyone gets to feed the reindeer in the mornings, and then they have lots of excursions and tours on offer as well – you can see them all here. And no, you don’t need to be staying at the lodge to do their excursions. 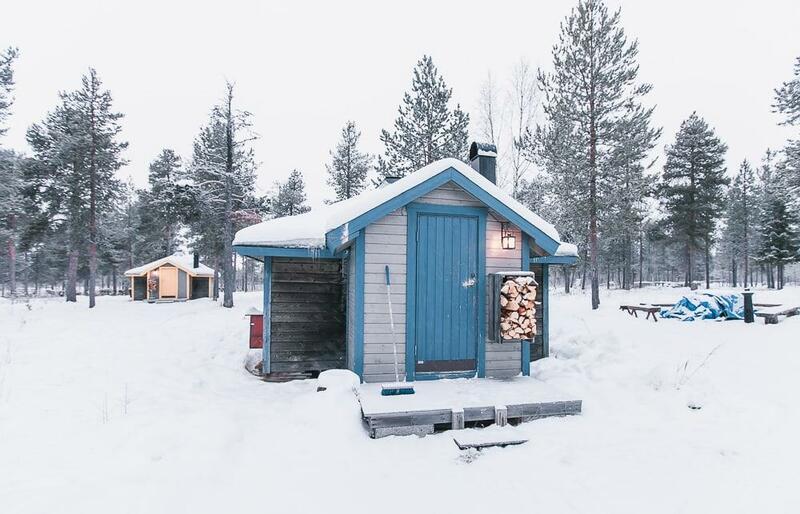 But I would love to stay in one of the cabins the next time I’m in Lapland. They just look so cosy! I especially loved how they have their own little wood burning ovens for warmth. 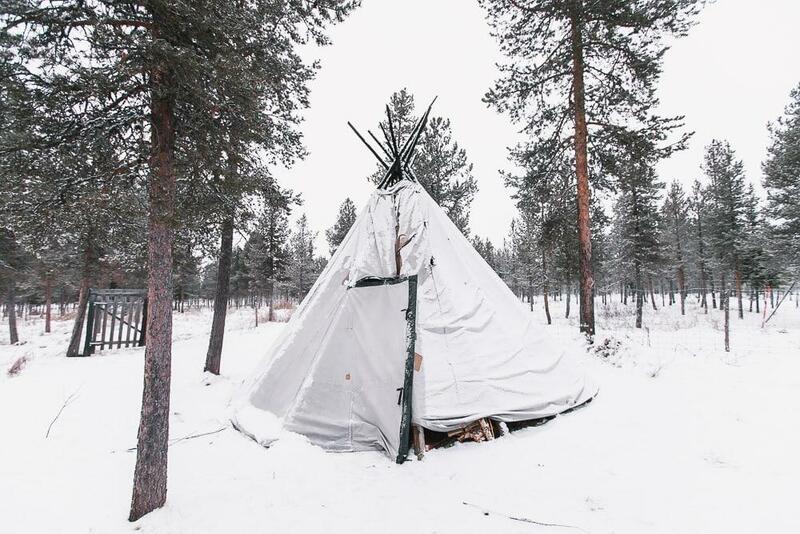 Plus I can’t think of a better way to learn more about the local Sámi culture. 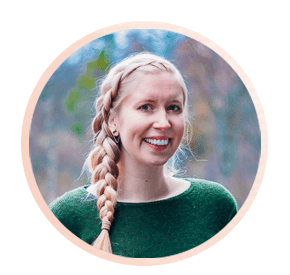 So many people come to this region just to see the Northern Lights and miss out on learning about the Sámi living here, which is such a shame. 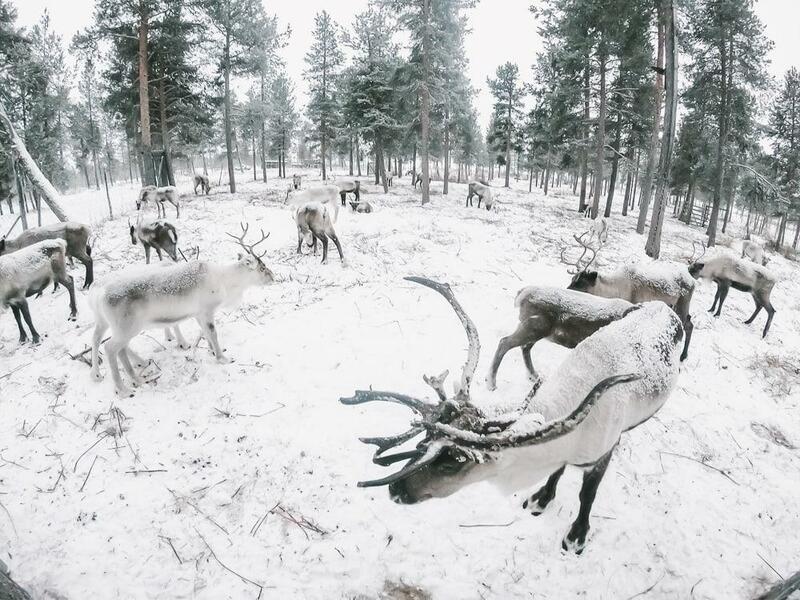 And by staying at Reindeer Lodge you’re supporting this reindeer herd, helping to finance their feeding. 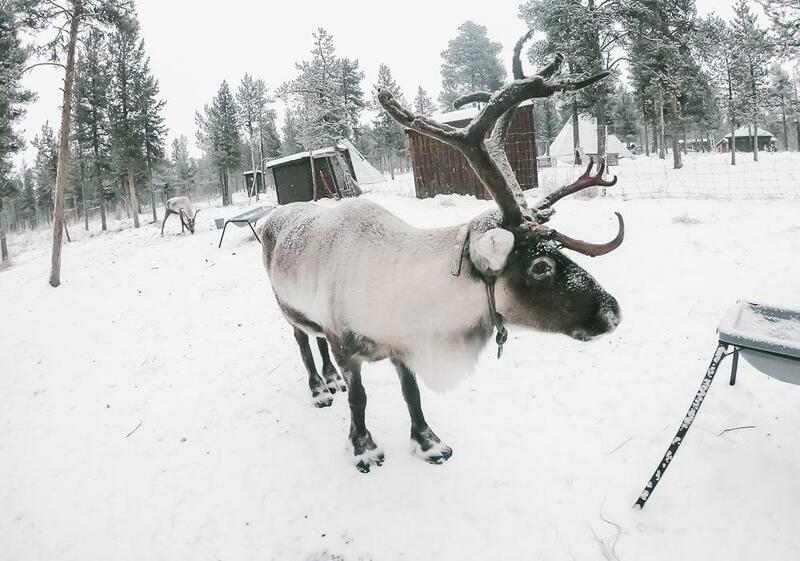 We also took the chance to feed the reindeer and I have to say, either these guys were particularly hungry or they’re just super used to guests, because they were the least shy group of reindeer I’ve ever met. 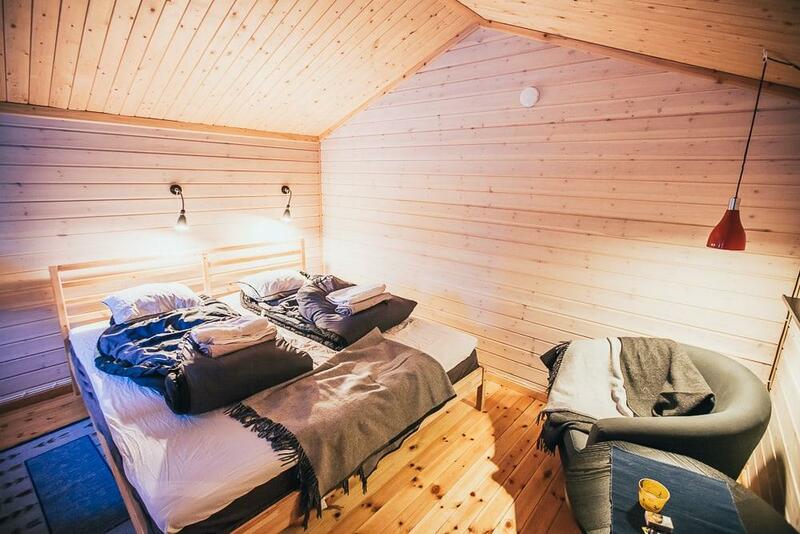 You can check current rates and availability at Reindeer Lodge here (and if you’re new to Airbnb you can get a discount here). 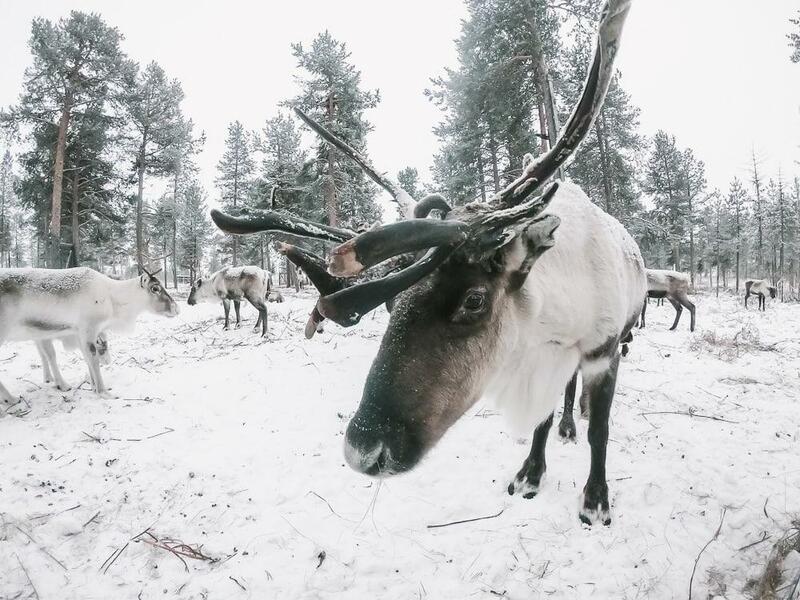 If you can’t stay at Reindeer Lodge you can still get a chance to see some reindeer in Kiruna. 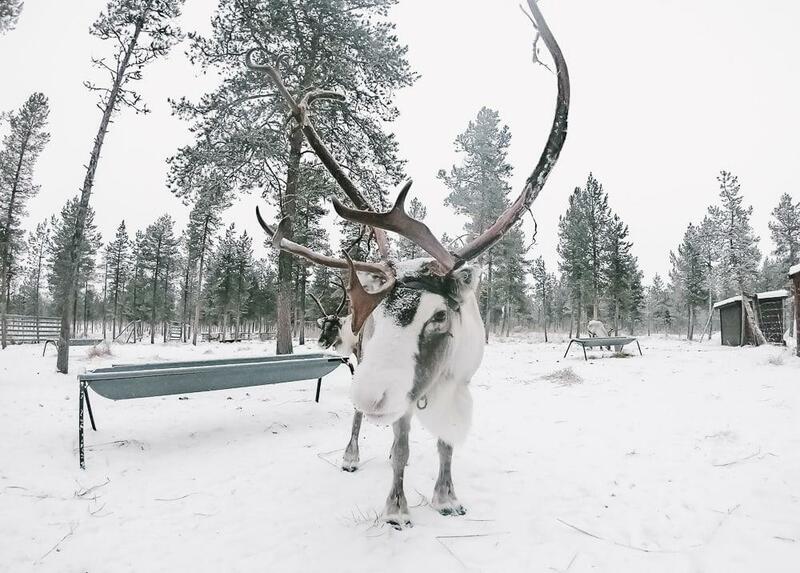 Nutti Sámi Siida also have a museum in Jukkasjärvi, where you can learn more about Sámi history and culture, as well as feed their reindeer. 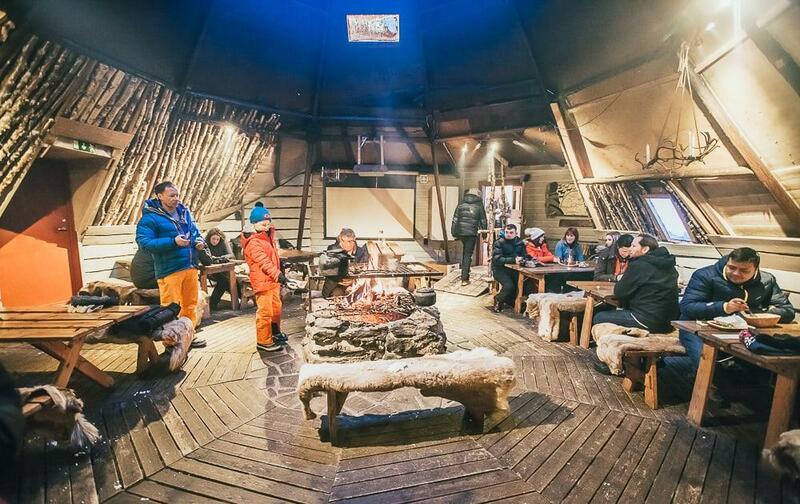 The entrance fee is 180 SEK (they have student and child discounts), so it’s the cheapest way to see reindeer up here. They also have a café on site where you can have lunch. Which would you choose – reindeer or huskies? 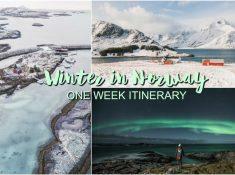 Wow, what an amazing idea for an adventure. 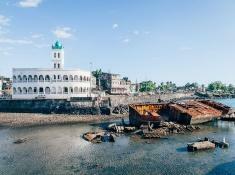 I’m just wondering if its ok for a solo traveler or is there a group tour that I can join? It would be perfect for a solo traveler – they organize group activities that you can join while you’re staying there. Wow, such an amazing place! Thanks for sharing!